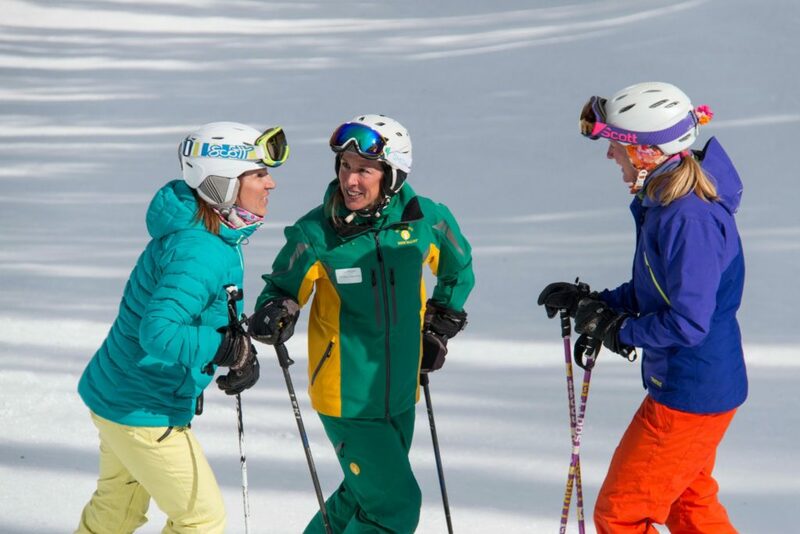 Do you want to learn to ski? 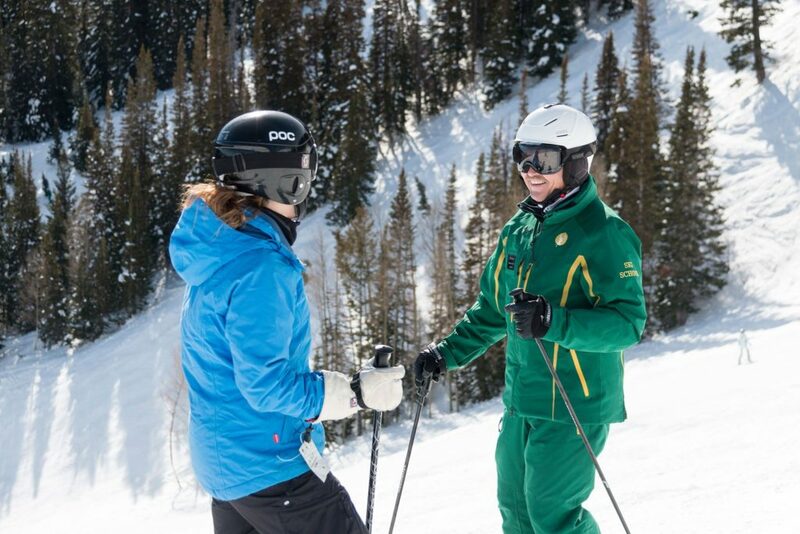 Although there is a learning curve with any sport, and skiing definitely takes skill, you can learn to ski in one day if you take the right steps. Chelsea did it and you can, too. 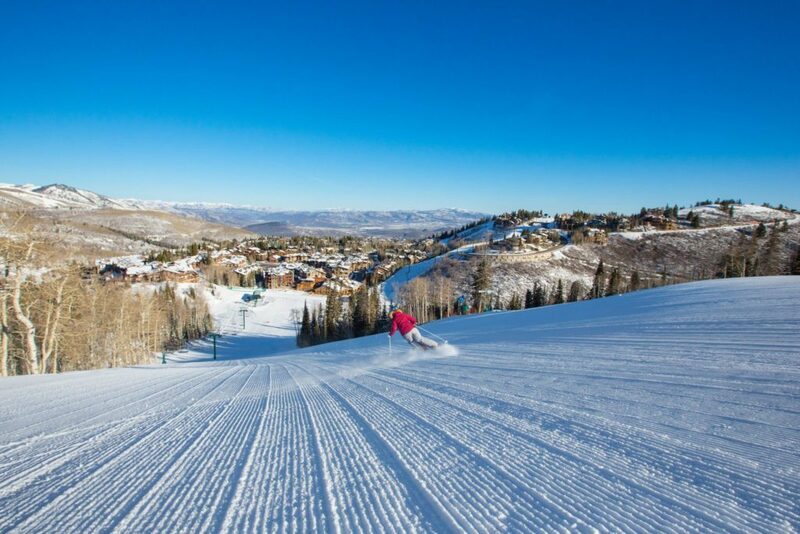 With an adventurous spirit, Chelsea West, age 28 of Norfolk Virginia, signed up for a “first time on skis” beginner class at Deer Valley Resort. She’d only been on a pair of skis once in her life, years ago in middle school on a tiny hill in North Carolina. Chelsea figured, “first time on skis” was the perfect class for her. The goods news is adults can learn to ski as quickly as little kids. Chelsea chose the best. 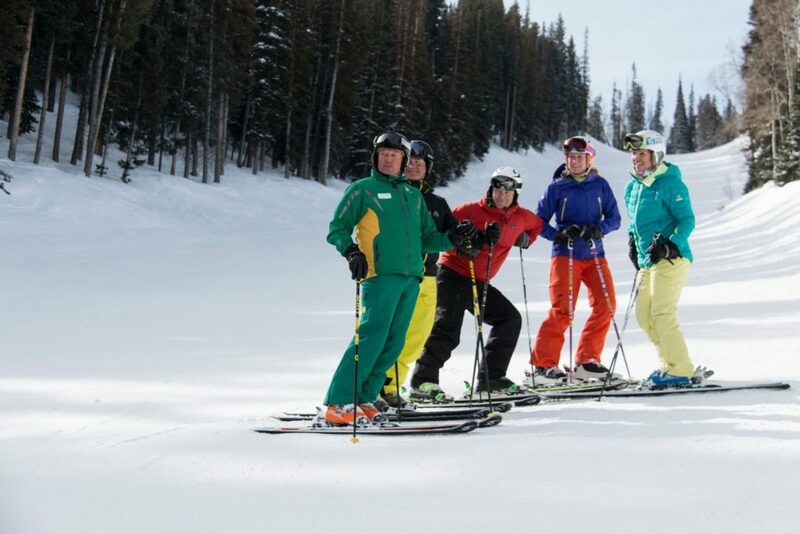 Deer Valley Resort has a “gold standard of instruction” where she got personalized attention while in a small group setting. In her three hour group lesson, she went from the “magic carpet” to easily getting on and off a lift. One after the other, her instructor built on her skills so she and her classmates were all skiing in just one short morning lesson. Chelsea signed up for a Max – 4 lesson – First Time on Skis. With a maximum of four skiers in the class, you get tons of personalized feedback and you can learn just as much from observing others in the class. Skiing is counterintuitive. When you start out, you are probably going to feel awkward and unstable. Your instructor says to do one thing and your body does the opposite. 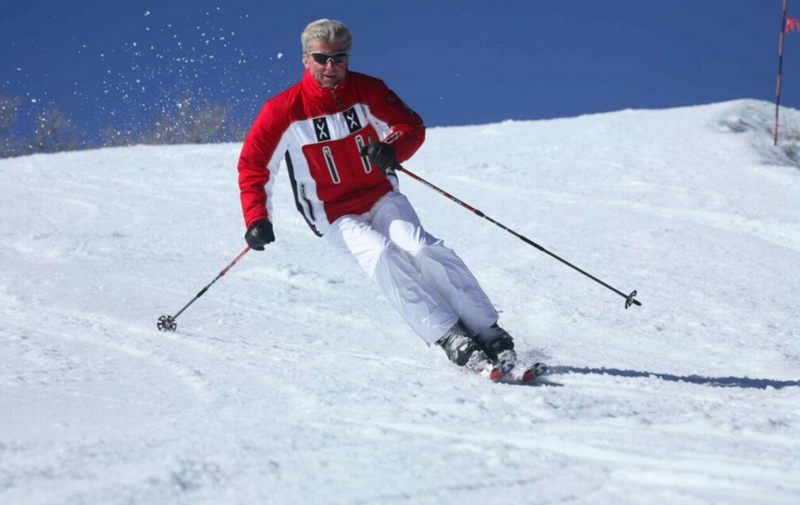 Your skis may cross and you don’t know how to get them uncrossed. In other words, you are learning something completely new. Chelsea came to her first lesson with an open mind and a willingness to feel uncomfortable. After class, instead of immediately heading up to the top of the mountain, Chelsea practised her new found skills on the easiest beginner run, Wide West. In the morning, she’d learned so many things, she decided to master what she’d learned before trying steeper beginner runs. Be sure not to let your well meaning friends immediately take you to ski runs that may seem easy to them but would be difficult for a brand new skier. 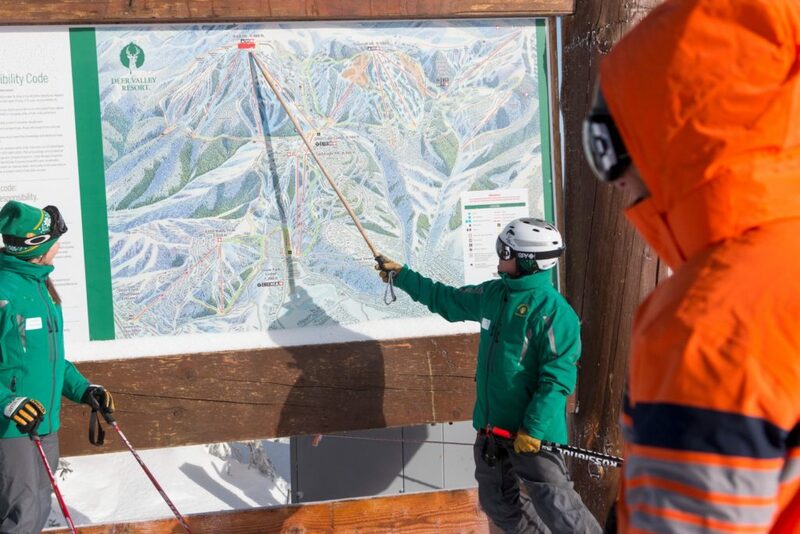 Ask your instructor or a mountain host which runs to do based on your ability. Chelsea took the Judge lift to a short run (the very bottom of Homeward Bound and Bird’s Eye) which connects to (the aptly named) Trainer run. 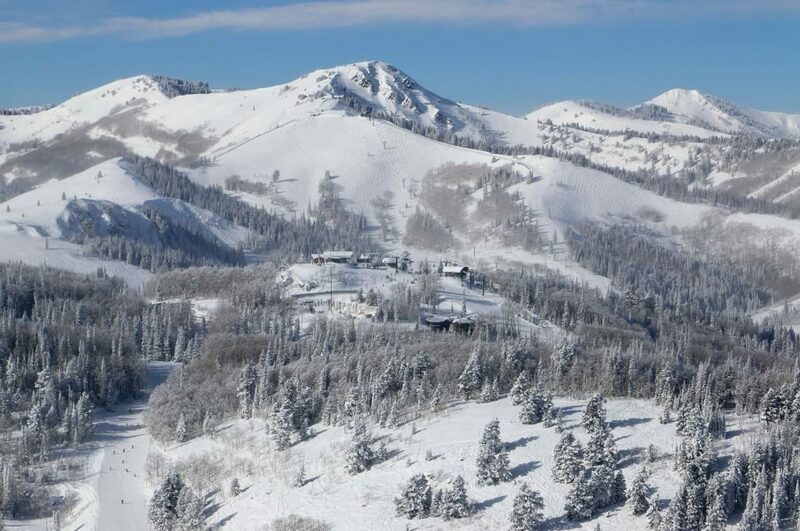 This combination of runs is wide, has some slope and is relatively short — a great combination for beginners. When she finally did the beginner run, Ontario, she was solid. Learning a new sport, takes a toll on your body! You’ve used muscles you probably didn’t know you had. Be sure head in before you are over tired. 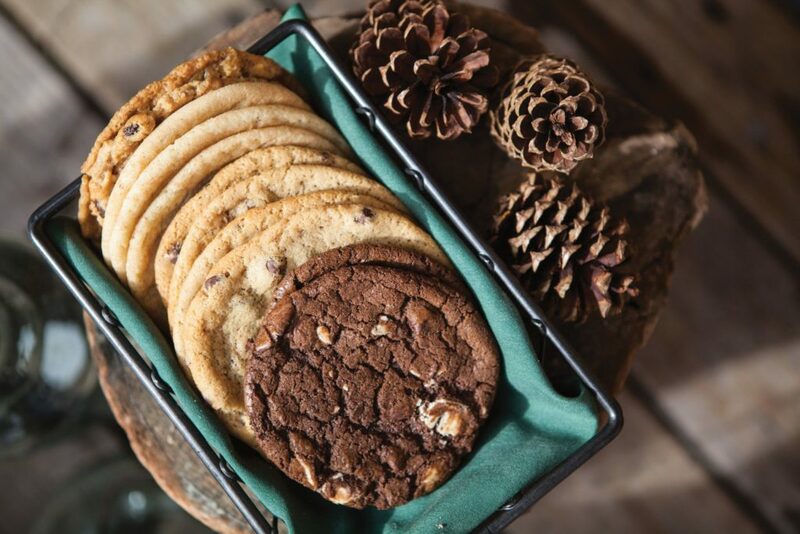 The lodge is a great place to grab a cocoa and a cookie. When you get home, soak in a hot bath or hot tub to soothe those sore muscles so you can go out and do it again the next day! Skiing burns a lot calories so feel free to replenish. 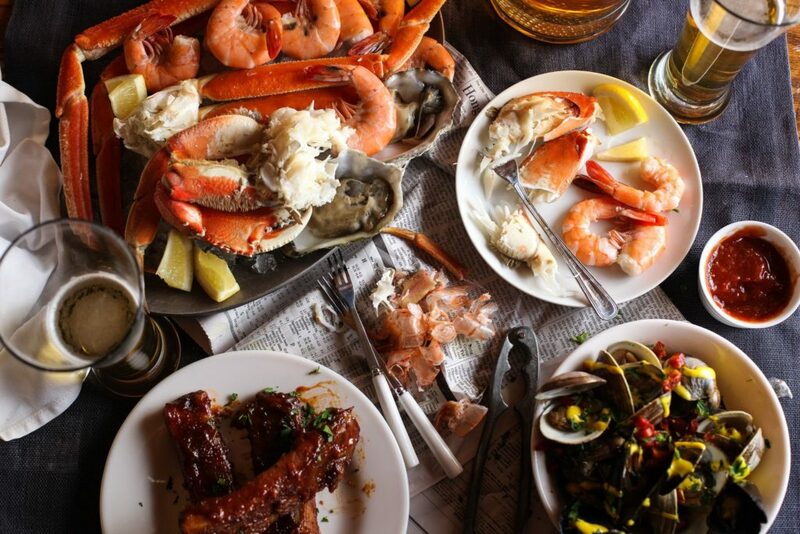 That night Chelsea and friends enjoyed many plates of fresh oysters, shrimp, crab, prime rib, and desserts. And by the way, another benefit of learning to ski is after skiing all day, you can eat as much as you want! Nancy L. Anderson, CFP is a financial planner in Park City, Utah. You can find her on Facebook, Twitter, her blog NancyLAnderson.com, and for tips on retirement planning, on Forbes.com.